The survey into people’s views on pedestrian safety on Teihana Road and Rawhiti Road has closed and the results are here. We will compile them and send them to Porirua City Council. Many of you included very helpful comments in your response, which will also need to be analysed. Thank you for your input. We’ll let you know what the outcome is. Note: this survey is now closed. We will provide your feedback to Porirua City Council. Construct a pedestrian zebra crossing with refuge island on Teihana Road, outside number 10. Proposed footpath on Rawhiti Road. Proposed crossing on Teihana Road. If you are a local resident, please fill out this short survey; your feedback is most appreciated. Fantastic news! Repairs will start on the retaining wall under the footpath on State Highway 1 between the shops and pedestrian bridge next week. The footpath will be closed during this time, and you’ll have to go around it (along Te Motu Rd and Rawhiti Road, or cut through the school). A section of footpath in Pukerua Bay will be closed for six weeks, starting next week, due to retaining wall work. General Manager City Infrastructure Mike Evans says the work is scheduled to start on Wednesday 21 November. “Work will be done on the footpath just south of the pedestrian overpass at Pukerua Bay (between the shops at Pukerua Bay and Te Kura Road) and the footpath will be closed while the work is being carried out. “For safety reasons, pedestrians will not be able to access the footpath and will need to use the Rawhiti Road overbridge instead. “The contractor will put up signs and barriers, and we are advising cyclists and pedestrians to be cautious when they are in the area and use the overbridge when they are travelling between the shops at Pukerua Bay and Te Kura Road. During this time, the road shoulder will also be closed, so cyclists are also advised to use the overbridge. The work is weather dependent but is expected to take around six weeks. “We appreciate everyone’s patience while the work is being carried out,” says Mr Evans. We will issue main updates through the Pukerua Bay Residents Association and the Porirua City Facebook channels and on poriruacity.govt.nz/pukerua-bay-works. It was thought the speed limit was going to be reduced, but Capital Journeys has told us that isn’t going to happen. We’ve received some lovely positive feedback from truck drivers and other motorists who were stranded in Pukerua Bay last week due to the accident and spill clean-up, thanking locals for their time, care and refreshments. We’d like to pass on their appreciation, and add ours as well, to all those residents of Pukerua Bay who helped out on the day! We’ve also had an offer from Mainfreight to contribute something for the upcoming AGM in appreciation. Thanks again to all involved; pop along, and we’ll see you there! This Sunday night, 10 June, NZTA contractors will start building a crossing by the shops that pedestrians can use to get across the highway. This is a proposal NZTA brought to the Residents Association over 18 months ago, and it’s finally being built! As you can see in the picture, it is at the end of the car park, opposite Reds. There is a 2.5m wide refuge in the middle of the road where pedestrians can stand, with rails on either side of the refuge, and 4m long islands running north and south. The work will start 7pm Sunday night, and go until 5:30am. Night work will be spread over five nights, with some finishing work during the day, There will be stop/go traffic management in place during the work. Once it’s built, vehicles will still be able to turn left out of the car park to go north, but won’t be able to turn right to go south from the toilet end of the car park. We’ll also have to get used to the refuge being in the middle of the road when turning right into Teihaha Road. We’re pretty pleased, after many years of lobbying, to finally get some sort of safe crossing. It might not be perfect, but it’s better than the nothing we have at the moment! Starting next Sunday night (9 July), the New Zealand Transport Agency and Porirua City Council will be trimming vegetation along State Highway 1 to clear power lines. This work will go on for eight nights, and also includes some other maintenance and road safety work. It follows the power cut from three weeks ago, which was caused by trees growing through the lines. 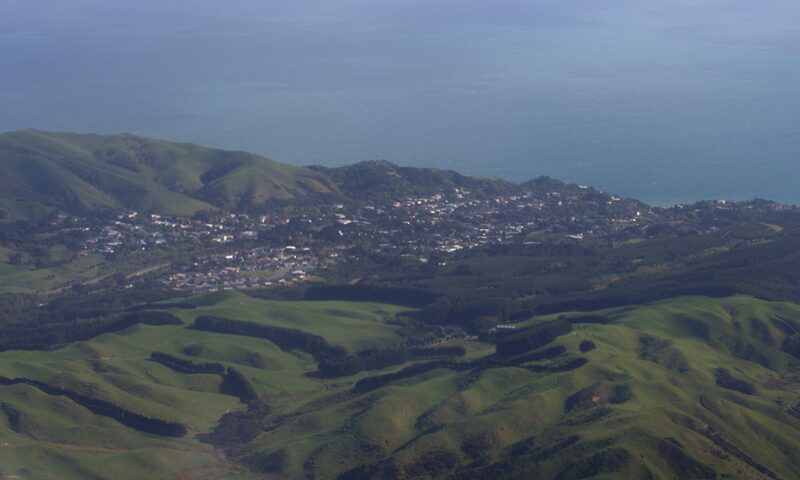 Pukerua Bay Residents Association is working with Muri Road residents and Porirua City Council to improve aspects of road and pedestrian safety along Muri Road. We’re after feedback by the end of the first week in June before 28 May. In early 2016, we asked Muri Road residents to take part in a survey on how Muri Road could be made safer for everyone. They told us that they wanted lighting along the road improved, some form of footpath and to reduce the speed of cars using the road. With this information we put in a successful bid to the Council for funding to undertake a village planning project for 2016/17 to make changes that would improve road and pedestrian safety. This document outlines proposed work to improve lighting, walkability and the speed of cars along Muri Road. It also outlines some opportunities for other work that could be done at the same time. Please study this document and provide any feedback on this form by the end of the first week in June before 28 May. It can be dropped into the letterbox at 84 Muri Road or dropped back to the Council’s Village Planning Team at the main administration building in Cobham Court. Feel free to discuss this project with us (Iain MacLean 027 420 3056, iain@maclean.name or Pauline Morse 239 9838) or with the Council’s Village Planning team who can be contacted through the main Council number 237-5089. At the Residents’ Association AGM last year, NZTA presented a number of options for improving safety along the State Highway, and got some good feedback on the options. We heard back from them recently about the progress on the options. “A pedestrian refuge near the intersection of Teihana Road and State Highway 1 will be investigated. The community feedback identified this as the first choice from the proposed safety improvement options presented. The exact location and layout of this refuge is now being developed. Once this work is done, we will share the plan with the community for final confirmation. The agreed refuge will then be programmed for construction. The existing speed indicator devices (SID) will be replaced and two new SIDs installed along SH1 through Pukerua Bay. Two of our committee members had a meeting with NZTA today at the shops, to look at the potential site for a pedestrian refuge. Given the standards for pedestrian refuges, the need to retain the right turn into Teihana Rd and have sufficient space for 2-3 cars waiting to turn, the most practicable and suitable site would be across from the northern end of the white barrier at the car parks to a bit south of the stone wall on the Te Motu side of the highway. It may be that a temporary refuge is set out and monitored, via a camera mounted on the light standard by the toilets, over a week or so to see how successfully it works. To aid line of sight on the Te Motu Rd side there may need to be some modification of the bank on that side, but not affecting the stone wall, if the fixture is permanent. One of the people on the team grew up in Pukerua Bay so is familiar with the issues. We’ll let you know when we’ve got some more info on their progress.